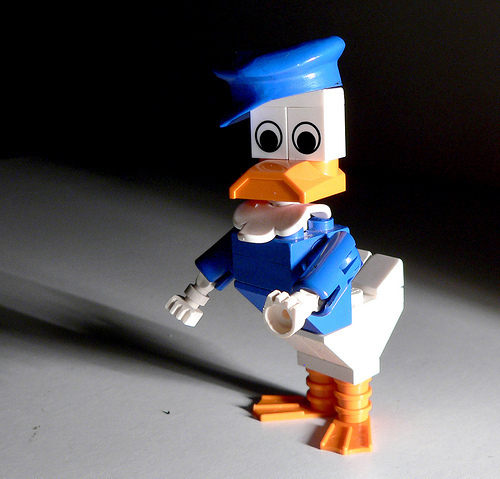 Lego Donald canard. Lego version of Donald Duck.. Wallpaper and background images in the Donald canard club tagged: donald duck disney lego cartoon character. WoW ! I'd never believe a lego Duck could exist ! I wonder if he gets into as much trouble as the real one! Maybe we must be careful when we play with ! Is noticed DANGER in the box ? Yes, a big warning on the box! RED ONE I hope !